I have a Bachelor’s Degree in Interdisciplinary Studies from the Ateneo de Manila University. I studied Applied Creativity (in Education and Art) at the University of Santiago de Compostela, Spain. I moved to Barcelona in 2003 and studied Contemporary Visual Arts Practices at METÁFORA-University of Barcelona. When I started making sculptures in 2003, my work stemmed from my personal narrative: moving to a different country and struggling with an invisible illness made me feel disjointed and fragmented. In my attempt to reconstruct and fabricate a new identity, I tried to build on pieces of my body. I have been back in Manila for ten years and now I find myself working with softer materials—fabric—to tell my story. The years have changed my narrative, but some themes remain. My pieces are still self portraits; They center on my embodied identity with missing pieces and fragile, incongruous parts. I still fabricate subtle and quiet images that trigger memories and emotions, focusing on loneliness, loss, and isolation. With the use of translucent materials, I also explore the idea of fragility and lightness, of wanting to be transparent, wanting to disappear. 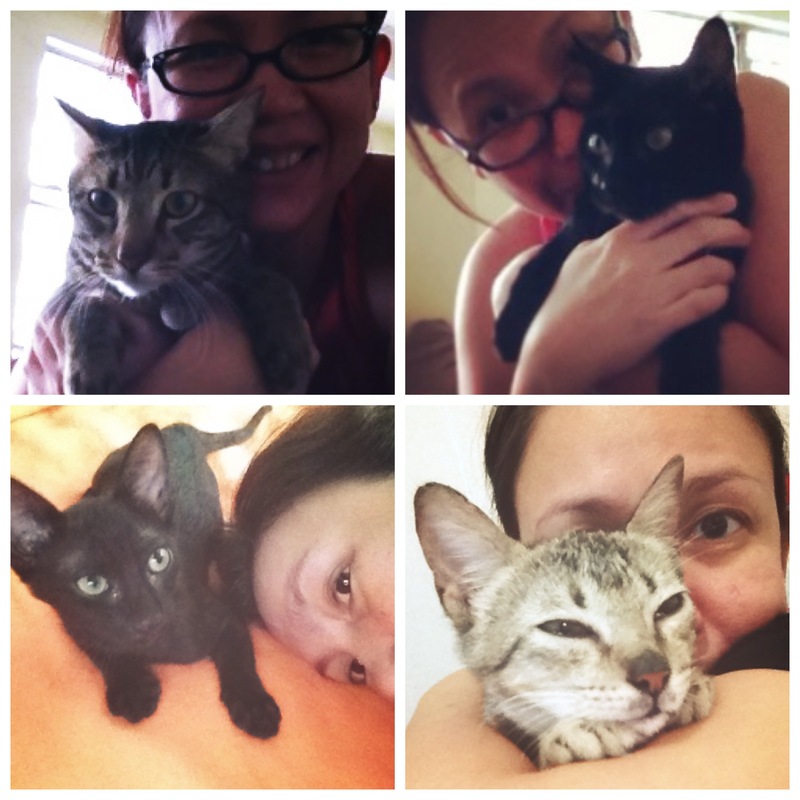 I live in Manila, Philippines with my two four five cats, Twister the Grumpy One, Wednesday the Happy, Astroboy the Stellar Cat, Ella the Innocent, and El Señor Don Gato. And our new addition to the family, El Señor Don Gato, a stray who used to hang out in our garage. He came with us when we moved to a different home (December 2014). Picture taken during the PURINA Philippines Fancy Feast craft and photo shoot event last December 2014. It’s so inspiring that you took this leap of faith! And I’m a Certified Cat Lady, too – they are the best!